I know everyone loves those curly little puffball ribbon bows called korkers! Sure, there are places that sell already curled ribbon but once you learn how to make it I think you will be a little insulted that you paid for it instead of doing it yourself. Today we are going to focus on how to make the curly ribbon and next week we will highlight a few easy ways to use it. Our goal on this project is to get a nice set curl in your korker ribbon the first time. I know a lot of people will swear by starching your ribbon, or wetting it, but if you do that it is just messy, creates more icky smells, and completely unnecessary. Think of this like curling your hair but for ribbon. We are using heat and tension to change the shape of the ribbon. Ribbon that works best for this are grosgrain ribbons that are synthetics, which simply means they are a type of plastic and will melt every so slightly to help us get a good shape. 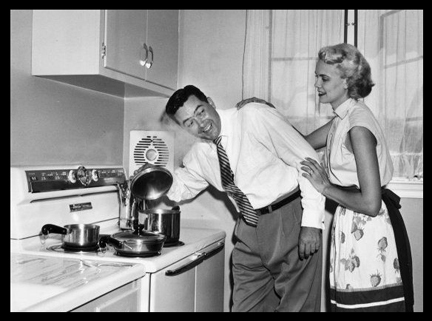 When you purchase the dowel rods they will be longer than your oven is wide. You can look helpless in the aisle at the hardware store and someone will typically offer some help to shorten them for you. You can also take them home, use a hacksaw, or a serrated kitchen knife to trim them to about 16 inches wide. Guess which method we used. That might be why I also got a new knife set for Christmas. And a hacksaw. Be careful with any method you choose. Looking helpless can lead to a date with a faux handyman and the hacksaw/knife method can injure fingers and you need those later in this instructional to make your bows! 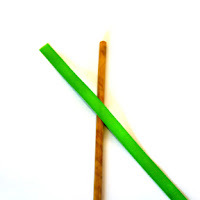 Start by positioning your ribbon at a 45 degree angle from the stick as shown pictured below. 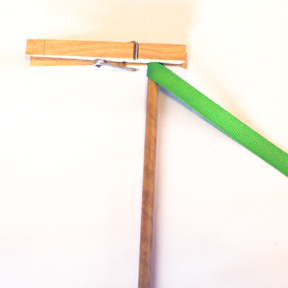 Place your clothespin over the ribbon to hold it onto the dowel rod. You may need to twist it around the rod a couple times to get the ribbon positioned under the clothes pin flat. 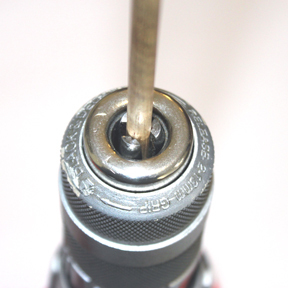 If you don't its ok, but that little end will crimp and need to be trimmed off before using for projects. Continue wrapping the dowel rod with ribbon until you reach the bottom of your stick. You need to make sure that there is enough tension as you pull and wrap that the ribbon curves slightly. You can see the ridges in the ribbon start to curve instead of remain straight. Make sure your ribbon does not overlap and I like to leave a small gap between the ribbon edges. 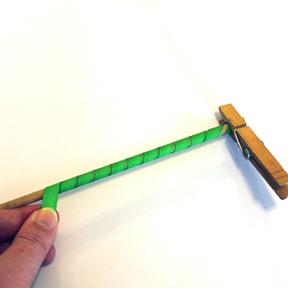 At the end of your dowel, cut your ribbon and place another clothespin facing the same way as your first clothespin. This will help when you stack them in the oven for baking. Use all the above steps until you would hand roll the ribbon on the dowel rod. Now, pull out your power tools. 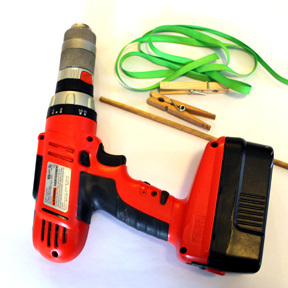 The drill we use is a cordless drill for two reasons. A cord is just one more thing that I can trip on. This drill also has a touchy trigger finger. It’s much easier if your drill allows you to press lightly on the trigger to get it moving slowly and when you let up it stops almost immediately. My corded drill doesn't work that way. I place my drill down on my leg with the stick pointing to the ceiling, or an ottoman in front of where I am working, and slowly press the trigger on the drill. You will need to use your free hand to guide the ribbon and keep appropriate tension on the ribbon. Going slow will help you to avoid overlapping the edges. Make sure to check if your ribbon ridges are curving slightly which indicates you are getting enough tension as you guide your ribbon down the length of the dowel rod. This step is fascinating to cats and toddlers so take that tidbit into account. Secure with a clothes pin, and cut your ribbon. Finally! A project where I can use my oven, since I rarely cook! Place your rack on one of the lower positions. If your oven is not super duper "brand new" clean, apply aluminum foil to the rack. I use a cookie sheet instead. This will keep any dirt from getting on your ribbon when you bake it. Heat your oven to 275 degrees. Bake your ribbon for 25-30 minutes. I do about 50 wrapped dowels at a time. I will remove a top stick, unwrap it, and check to make sure the curl has set before removing all the rods. It will fill your home with the lovely smell of baking ribbon. My husband has come home more than once and said, "Yummy! Korkers for dinner!" Ok, get cracking on the project, next week... more on how to make pretty hair accessories out of these and another fab installment of our new series "Crafting for Profit". Another suggestion... I have found that I like a longer dowel rod. I cut mine to JUST fit in my oven. They are probably just over 2 feet. I find that 3 dowel rods of this size make just enough curled ribbon for a set of bows! :) And use spray stiffner. I tape the base of the drill to the table with packing tape. It leaves both hands free to work the ribbon and trigger. What a great way to get that ribbon rolling. Love your tutorials! Thanks for sharing! What a great idea! I've been making bows for a couple years now but just recently ventured into the world of korkers...one more reason I just NEED all that ribbon I can't help buying! Thanks so much!